Exclusive! 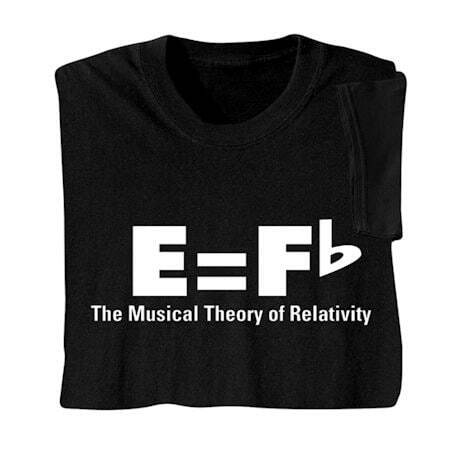 In music theory, E also equals F-flat. Or D-doublesharp. As Einstein (who loved music) might have said, "It's all relative." Black sweatshirt is 50/50 cotton blend; T-shirt is 100% cotton. Sizes M-XXL. Imported.